Chicago head coach Mike McGrath has said that second-year guard Alex Pyper is the best shooter on this year’s Maroon team. Then Pyper missed the first five games of the season. In his return games against Augustana and Wheaton, he failed to break double digits: he scored eight in each game, and made only two-three pointers total in those two Maroon losses. But that all changed on Saturday at Kalamazoo (2–3). Pyper shot 11–19 from the field and 7–14 from beyond the arc for 32 points. His scoring surge sparked a comeback for the Maroons (4–2), who were down by 17 points in the first half and ended up winning 76–73. Although the Chicago second-year scored 13 points in the first half, his first-half performance was outshined by the Hornets. Kalamazoo shot 70 percent from beyond the arc and 59.3 percent from the field. Third-year guard Mark Ghafari led the Hornets’ offense with 16 first-half points. Even though the Maroons were down by 10 at halftime, 39–29, Pyper said he felt he was going to have an explosive second half just seconds into it. Having had no leads the entire game, a Pyper three-pointer put Chicago within one with 7:47 left in the contest. 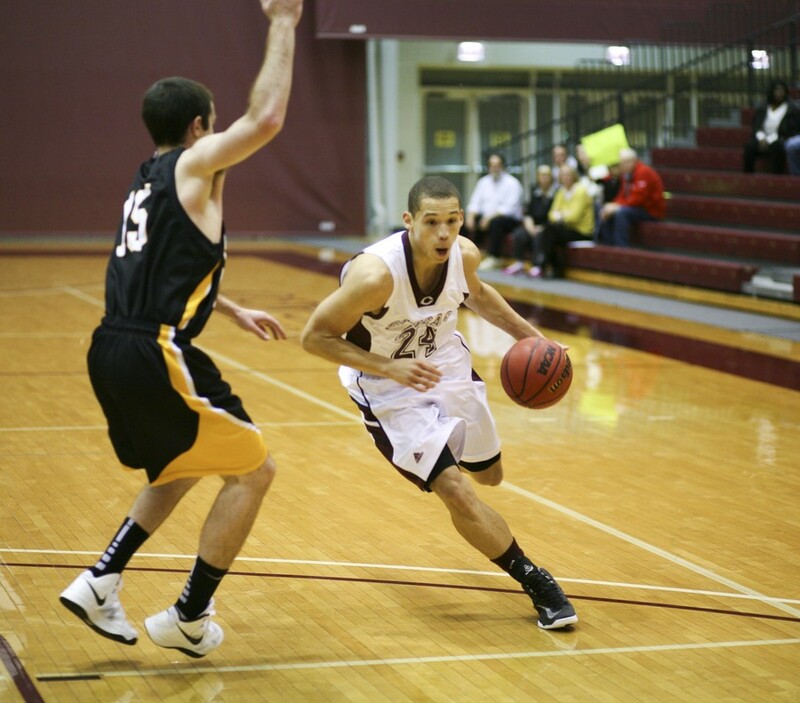 Then, with 3:34 remaining, Pyper’s three free throws gave the Maroons the lead at 64–63. Chicago never lost that lead. Even with Pyper healthy, the second-year said not to expect 30-point performances every game from now on. The Maroons will need their shooters in top form on Saturday at Lake Forest (1–4). Chicago is 0–2 on the season against regional opponents and will need to defeat Lake Forest and Illinois Wesleyan (5–2) for a chance at an at-large NCAA tournament bid if they do not win the UAA. Two days before the start of winter quarter on Saturday, January 5, Chicago opens up its UAA season at home against Wash U. The Bears, who are 7–0 on the season, are the favorites to win the UAA, according to the UAA preseason poll. Chicago looks to be in better form next quarter with the return of third-year guard Derrick Davis. Davis has sustained an injury but will likely be back in January. With a healthy lineup, the Maroons look to contend for the UAA title.